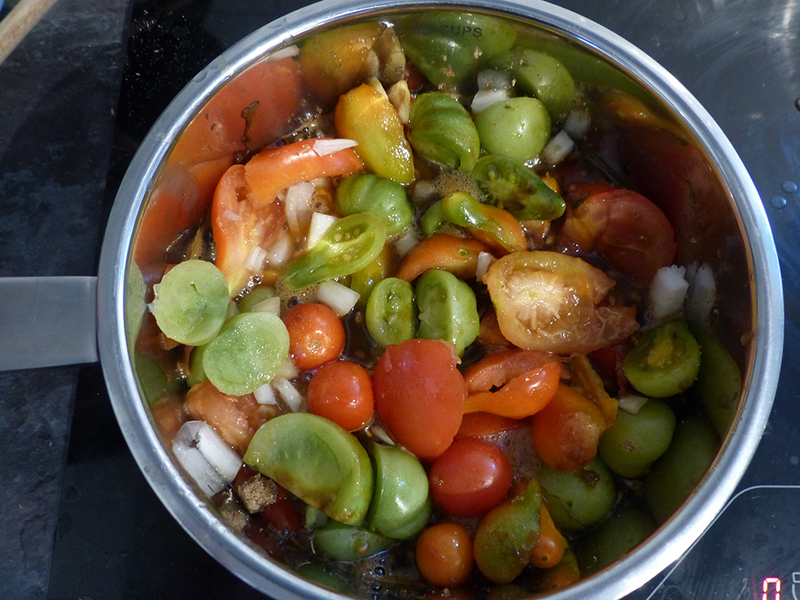 Make this homemade tomato ketchup with the last of your homegrown tomatoes. You can either use green, red or a combination of the two. Put all the ingredients in a large saucepan, bring to a boil and cook for around 1 hour, stirring occasionally. Remove the star anise and puree, using a blender, until smooth and it has a ketchuppy consistency. Put it back on the heat and heat until it is piping hot and bottle straightaway. The hot air will shrink, causing a vacuum in your bottles. But be careful not to break the bottle with the hot liquid. This will happen more quickly when the bottle is much colder, so if the bottle is fairly warm, it shouldn't break.